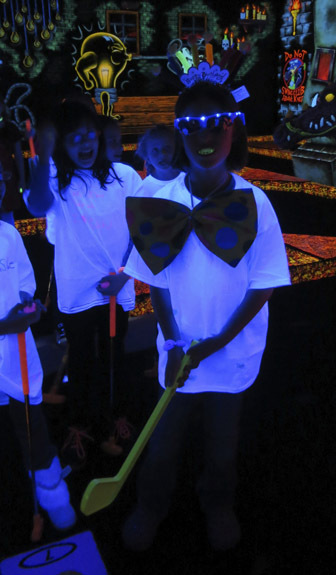 4/6/13: Cara's spooky birthday party at Monster Mini Golf. It was a girls-only party with friends from school. Here are the kids making their own T-shirts to wear on the course. Cara got to make a gooey green handprint which will be posted on the wall to commemorate the event. About to blow out the candles! All the kids got scary vampire teeth, which they insisted on wearing for most of the rest of the party. It's sort of like they're all wearing mouthguards to play golf. Hard to see but Cara is dressed up in a crazy costume as part of the birthday festivities. Her cool shirt, which got signed by everybody at the party. 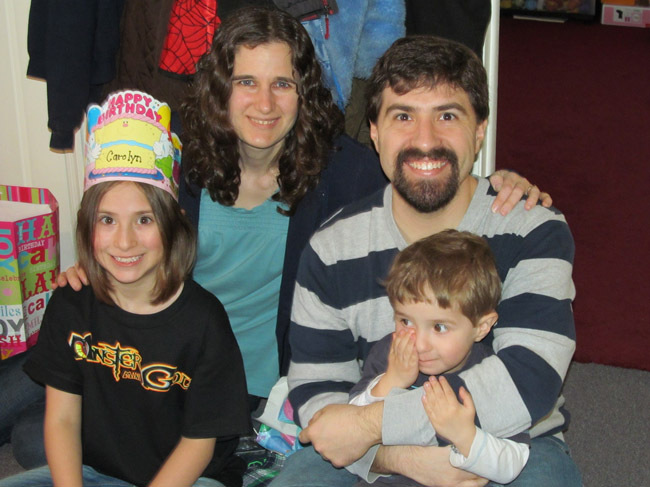 4/7/13, the small-scale family party with just grandparents and Aunt Claire. 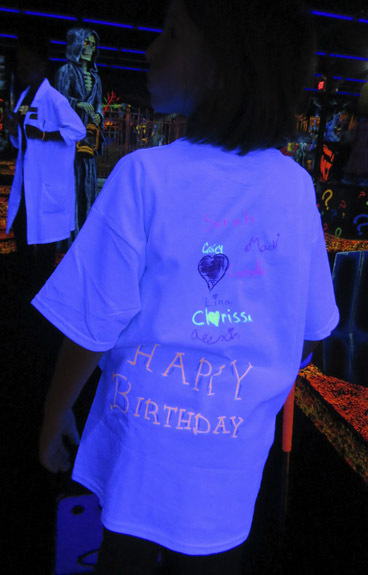 Here's Cara in an old birthday crown, wearing her new Monster Mini Golf shirt. Lighting eight candles! Owen is distracted by the flame. Owen already watching a replay of the party while Mommy cuts his cupcake.